Take one part The Great Gatsby, two parts National Velvet, add a splash of Art Deco architecture, a sprig of Colonial Revival and you have Santa Anita Park, a high-octane cocktail for captains of industry, movie moguls and everyday racing enthusiasts alike. 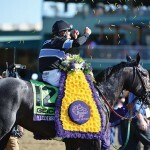 It’s late June, and the crowd is buzzing with anticipation for the Breeders’ Cup Challenge Grade I Santa Anita Gold Cup. 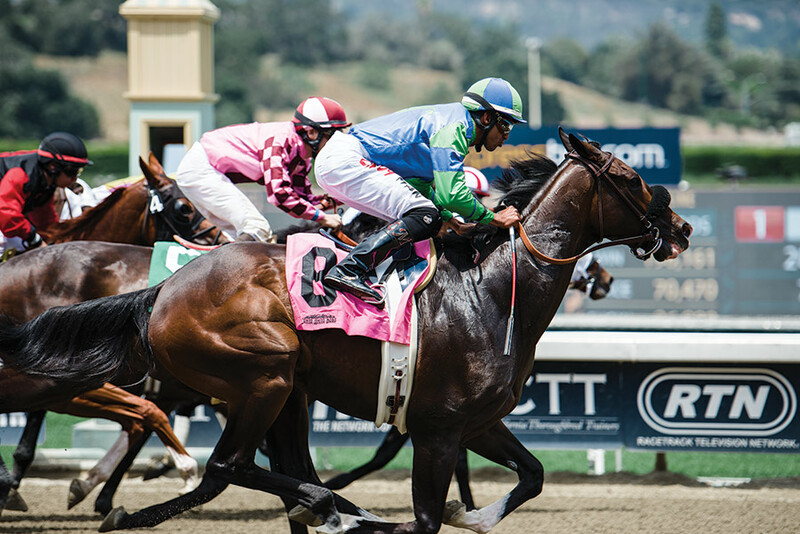 Every weekend of the season, thousands flock to this newly renovated track in Arcadia (25 minutes northeast of Los Angeles) to take in the preeminent thoroughbred racing in Southern California. Amidst a sea of pastel shift dresses, seersucker jackets and bow ties, one woman stands out from this well-heeled crowd — Belinda Stronach, President and Chief Executive Officer of The Stronach Group. The Chandelier Room staircase was made for grand entrances — such legendary beauties as Betty Grable, Lana Turner and Jane Russell have graced its steps. Stronach takes them in stride in stilettos, navigating the curves with panache. Sporting a perfectly cut and draped black sheath, the striking blonde entertains her top clientele with aplomb. Known for her inscrutable Mona Lisa smile — beguilingly radiant one moment and sanguinely serious the next — many an Alpha has been known to fall under her spell. From Bono to Brad Pitt to Bill Clinton, those who meet her are drawn to her stirring charisma and creative projects. 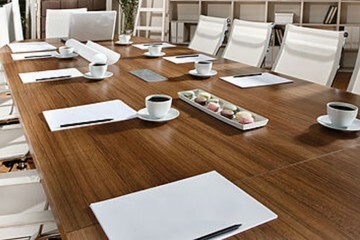 She’s created a life of unalloyed advantage, through meaningful work and meaningful alliances. Once upon a time, an heiress of this ilk would chair the Junior League — the picture of noblesse oblige complete with petticoat and pearls. This would never do for Belinda, whose business savvy and philanthropy hinges on the confidence that comes from doing extensive groundwork. 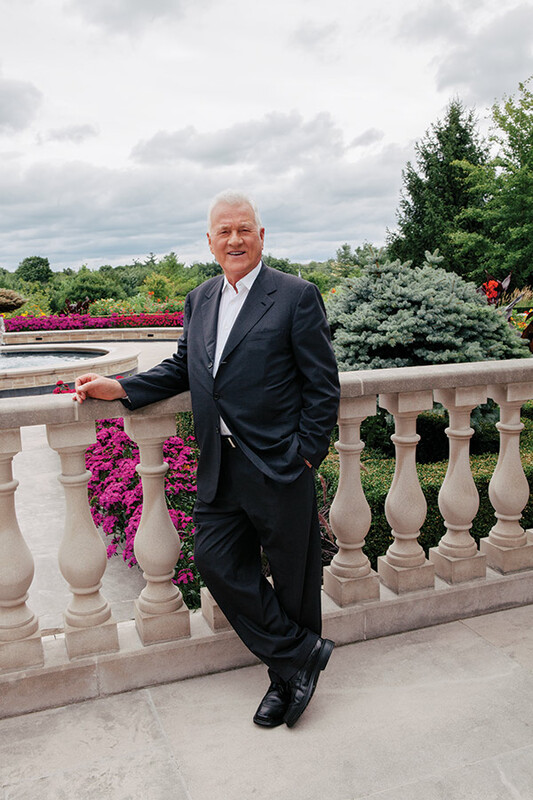 To understand The Stronach Group’s momentum, we must go back to the beginning, to the inimitable Frank Stronach, founder and chairman of TSG and father to Belinda. With a personal net worth of $1.3 billion, he’s built not one but two empires that are — from an industry impact point of view — as big as the Beatles. Both enterprises are an economy unto themselves. Born and raised in Austria during Nazi rule, he arrived in Montreal in 1954 with a single suitcase and roughly forty dollars in his pocket. A trained tool-and-die maker, he worked at odd jobs, cleaning dishes and picking up golf balls before taking a thousand-dollar bank overdraft and opening his own machine shop in Toronto in 1957. He spent much of his twenty-fifth year working long into the night, sleeping on a cot by his metalworking lathe. In 1960, he won his first account with General Motors. Today, the company he founded, Magna, does nearly $30 billion in sales, with 128,000 employees in 315 factories and 82 sales centers in 29 countries. The patriarch does not tell you his story the way an American would; there’s not a tinge of melodrama. When it comes to the hardship of a humble, immigrant past, he speaks of it with neither glamour nor pride: it happened, simple as that. An astute observer of society, he has witnessed a great sweep of history — from post-war Europe to 60s radicalism, to the hedonism of the 80s to the rise of 21st-century globalism. Not unlike the protagonist in a Chekhov play, Stronach’s extraordinary emotional resilience is his best asset. 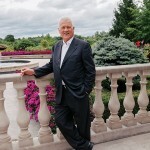 As the leading owner and breeder in North America for decades, Stronach became the first track owner to collaborate with his network of racehorse owners to thrive in a new era. The dated model in racing is broken, and this is his way of fixing it. He’s done more than anyone to regain integrity in the sport by implementing progressive policies aimed at eliminating drug abuse and mistreatment of horses. 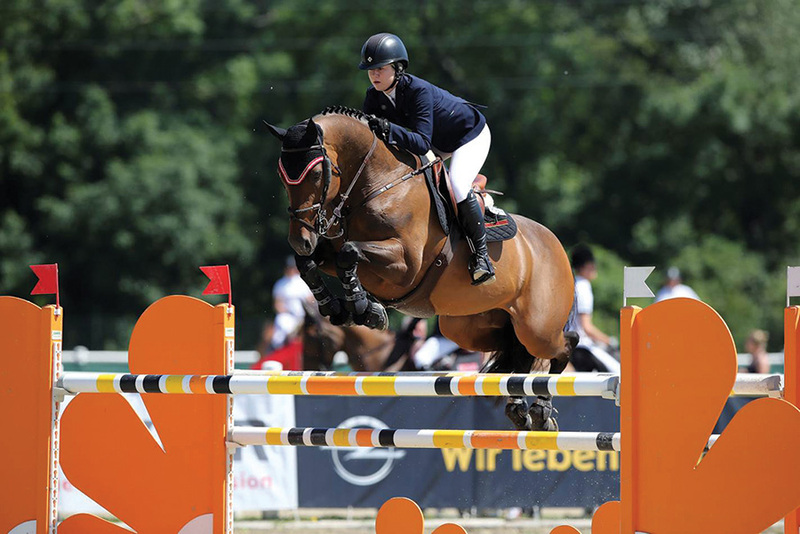 TGS maintains the highest standards with respect to the safety of both equine and human athletes. 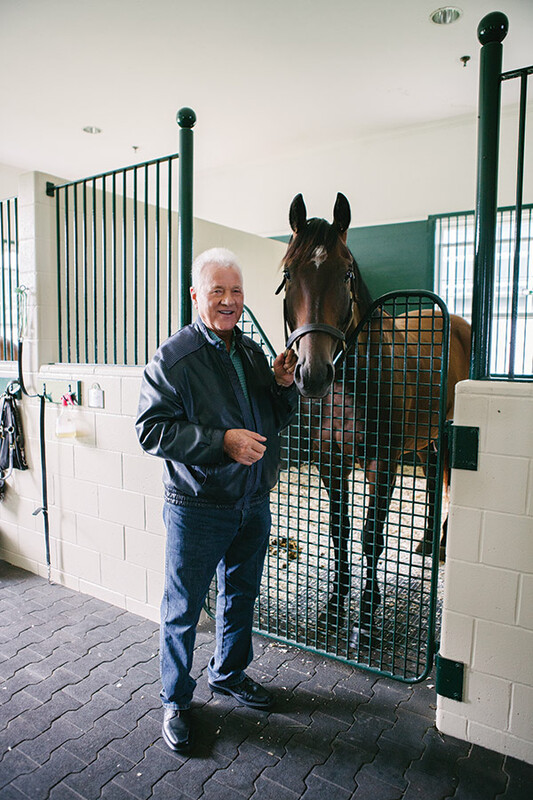 As Stronach is also the biggest producer of racing content with HRTV, XpressBet, AmTote and Monarch, his vision sets a new gold standard in quality wagering. 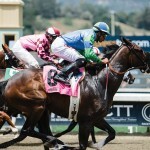 Stronach holds some of the greatest brands in the industry — the Preakness and Breeder’s Cup, integral to America’s heritage — as well as the marquee tracks in the heart of major urban markets, including Los Angeles and San Francisco. 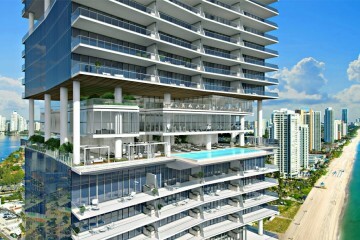 With a mandate to deliver world-class racing and an entertainment experience second to none, TSG strategically develops their adjacent lands to enhance core racing assets. 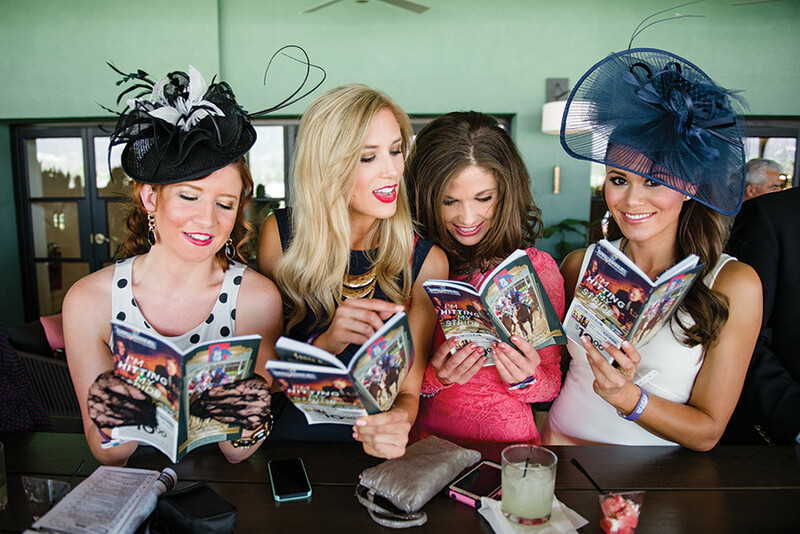 To this end, Gulfstream Park is the “racetrack of the future,” an all-day Sunshine State destination that combines racing with a casino, hotels, live shows, retail shops, restaurants and bars. At the heart of his passion lies Adena Springs, the breeding operation he founded five decades ago. There are three main farms, two located in Kentucky and Florida, and one in Ontario, Canada. Stronach has won the Eclipse Award for Outstanding Breeder seven times. 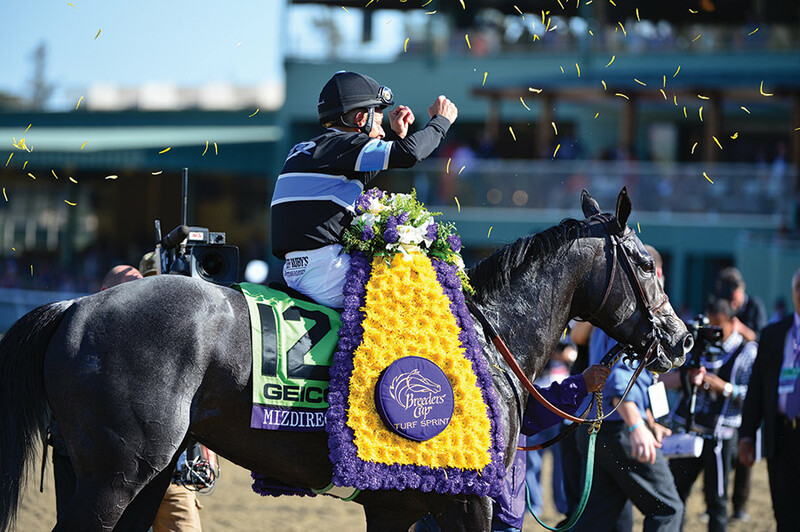 The program stands three of the top 15 stallions in the industry, with stud fees ranging from $3,500 to $75,000. Even Queen Elizabeth requested to tour Adena in Kentucky, as Stronach had sent one of his prize mares to England to commune with her royal stud Motivator, one of the UK’s great racehorses.